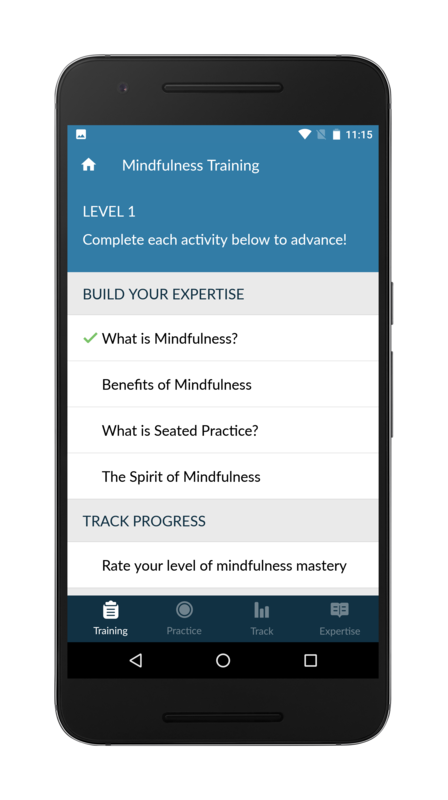 Mindfulness Coach 2 was developed to help Veterans, Service members, and others learn how to practice mindfulness. 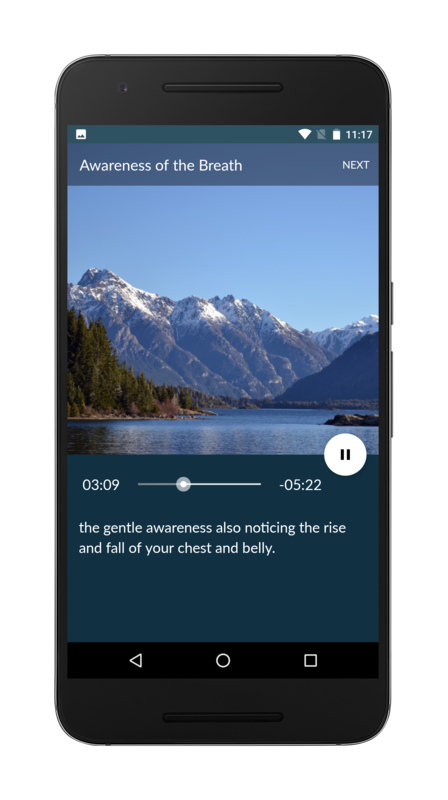 The app provides a gradual, self-guided training program designed to help you understand and adopt a simple mindfulness practice. 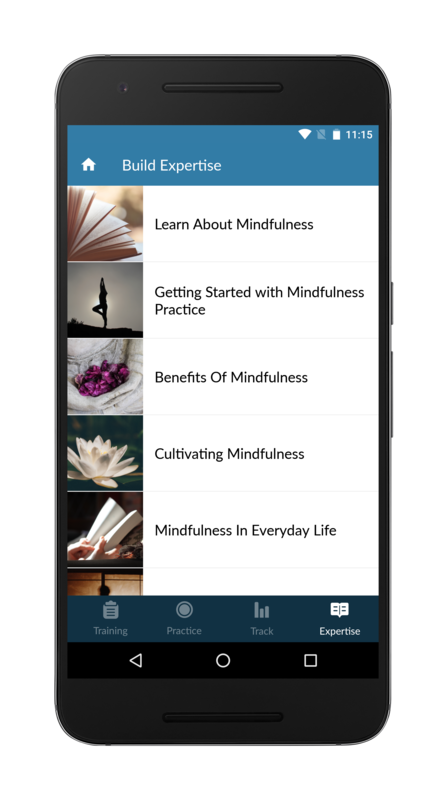 Mindfulness Coach also offers a library of information about mindfulness, 12 audio-guided mindfulness exercises, a growing catalog of additional exercises available for free download, goal-setting and tracking, a mindfulness mastery assessment to help you track your progress over time, customizable reminders, and access to other support and crisis resources. 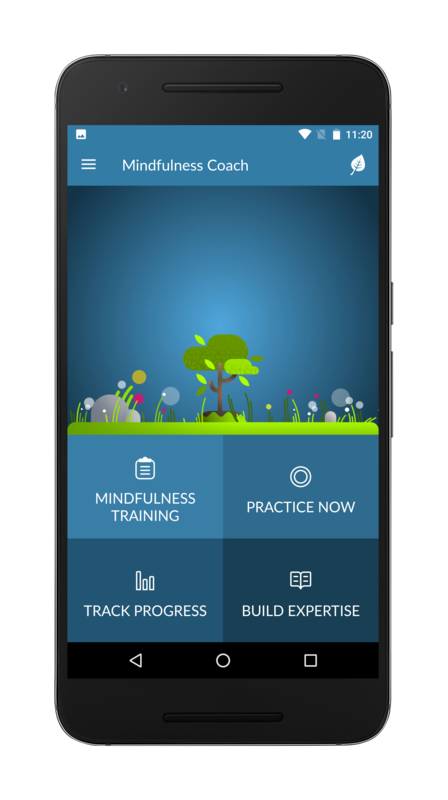 Mindfulness Coach was created by VA’s National Center for PTSD.